Further afield, in ancient Iran, a fortified wooden settlement was called a gerd, which became jerd under later Arab influence. Burugerd or Borujerd is a city in the West of Iran. The Indian suffix -garh, meaning a fort in Hindi, Sanskrit, and other Indo-Iranian languages, appears in many Indian place names. Given that both Slavic and Indo-Iranian are sub-branches of Indo-European and that there are numerous similarities in Russian vocabulary and Sanskrit vocabulary, it is plausible that garh and gorod are related, although this is strongly contradicted by the phoneme /g/ in Indo-Iranian, which cannot be a reflex of the Indo-European palatovelar /*ǵ/. Nowogard is a village in the West Pomeranian Voivodeship Province of northwestern Poland. As of 2004 it had a population of 16,733. Skoczów ( listen) is a town and the seat of Gmina Skoczów in Cieszyn County, Silesian Voivodeship, southern Poland with 14,641 inhabitants (2006). The town lies in the historical region of Cieszyn Silesia. Starogard County is a unit of territorial administration and local government (powiat) in Pomeranian Voivodeship, northern Poland. The name is a combination of two terms: stari which is Slavic for old and gard which is Pomeranian language stands for town, city, fortified settlement. In this meaning, the term gard is still being used in the only surviving dialect of the Pomeranian, Kashubian language. The county came into being on January 1, 1999, as a result of the Polish local government reforms passed in 1998. Its administrative seat and largest town is Starogard Gdański, which lies 45 kilometres (28 mi) south of the regional capital Gdańsk. The county contains three other towns: Skarszewy, 13 km (8 mi) north-west of Starogard Gdański, Skórcz, 19 km (12 mi) south of Starogard Gdański, and Czarna Woda, 33 km (21 mi) south-west of Starogard Gdański. Starogard County is part of the area traditionally inhabited by the Kociewiacy ethnic group. Devín Castle is a castle in Devín, which is a borough of Bratislava, the capital of Slovakia. Hrádek (help·info) is a village in Frýdek-Místek District, Moravian-Silesian Region of the Czech Republic, on the Olza River. It has a population of 1,756, 42.8% of whom are Poles, the highest percentage of all municipalities in the country. The village lies between the mountain ranges of the Silesian Beskids and the Moravian-Silesian Beskids, in the historical region of Cieszyn Silesia. 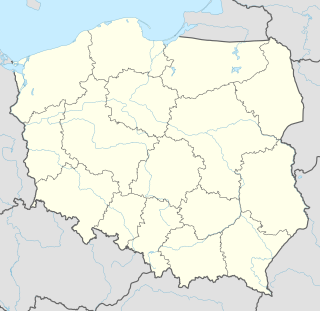 Chotěbuz (help·info) is a village in Karviná District, Moravian-Silesian Region of the Czech Republic. It lies on the border with Poland, on the left bank of the Olza River, in the historical region of Cieszyn Silesia. It has 1,033 inhabitants, 21.3% of the population are the Poles. The most important phenomenon that took place within the lands of Poland in the Early Middle Ages, as well as other parts of Central Europe was the arrival and permanent settlement of the West Slavs. The Slavic migrations in the area of contemporary Poland started in the second half of the 5th century AD, about a half century after these territories were vacated by Germanic tribes fleeing from the Huns. The first waves of the incoming Slavs settled the vicinity of the upper Vistula River and elsewhere in the lands of present southeastern Poland and southern Masovia. Coming from the east, from the upper and middle regions of the Dnieper River, the immigrants would have had come primarily from the western branch of the early Slavs known as Sclaveni, and since their arrival are classified as West Slavs. Their early archeological traces belong to the Prague-Korchak culture, which is similar to the earlier Kiev culture. Żarnów is a historical village in Opoczno County, Łódź Voivodeship, in central Poland. It is the seat of the administrative district called Gmina Żarnów. It lies approximately 18 kilometres (11 mi) south-west of Opoczno and 77 km (48 mi) south-east of the regional capital Łódź. Between 1415 and 1876 the village had a status of a town. Spycimierz is a village in the administrative district of Gmina Uniejów, within Poddębice County, Łódź Voivodeship, in central Poland. 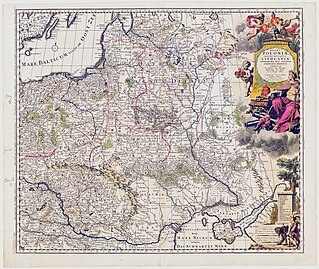 It lies approximately 4 kilometres (2 mi) south-west of Uniejów, 15 km (9 mi) west of Poddębice, and 52 km (32 mi) west of the regional capital Łódź. A circular rampart is an embankment built in the shape of a circle that was used as part of the defences for a military fortification, hill fort or refuge, or was built for religious purposes or as a place of gathering. Cornštejn Castle is a castle near Bítov, 31 kilometres (19 mi) west of Znojmo, in south-west Moravia, the Czech Republic.